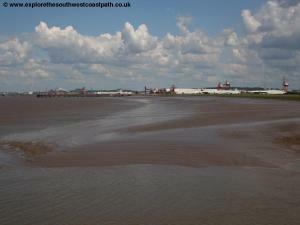 This walk is a walk of two parts, the first part heading from the banks of the Avon around the back of the large Royal Portbury Dock (where public access is not permitted) following roads and paths adjacent to the industry. 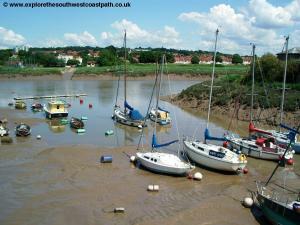 The walk soon reaches the coastal town of Portishead and the banks of the Severn, where the second part of the walk follows the banks of the Severn heding south west to end at Redcliff Bay, on the edge of the town. 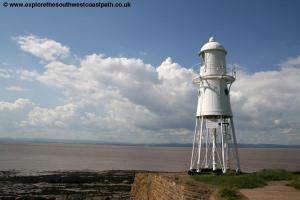 This walk begins from Pill which is a short distance from the M5 motorway. 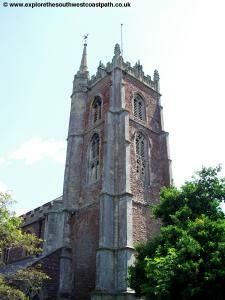 Leave at junction 19 and take the A369 south to Pill and Bristol. 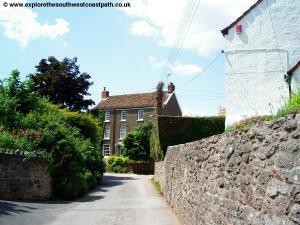 Shortly after joining this road turn left into Pill and follow the signs to reach the banks of the Avon in the town. 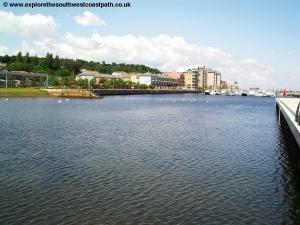 There is not a car park along the coast, so it is suggested to park on Marine Parade, by the river. If you are coming by public transport, Pill is served by bus service X4 which runs frequently from Bristol Bus Station to Pill and Portishead and is operated by First Bristol, Bath and West. As far as I am aware, there is no accommodation in Pill. However there is a Days Inn at Gordano services, at junction 19 of the M5 motorway, a short walk from Pill, and the walk passes this service area. 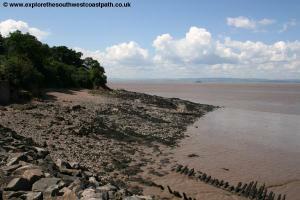 At Portishead at the end of the walk there is a Travelodge and a Permier Inn. 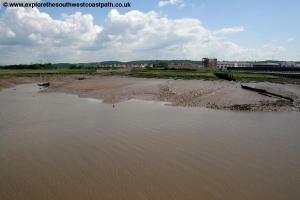 The walk begins from Marine Parade, beside the Avon in Pill. As the road turns left stick with the road, as the path ahead is a dead-end and at the end of the road turn right along Avon Road. Take the next left, Severn Road and take the footpath under the railway line. 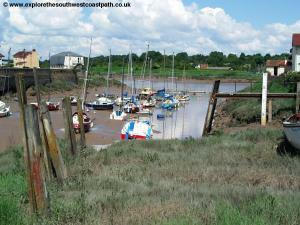 Once under turn right along Lodway Close and take the path on the right into The Breaches. Follow this road to the end and then turn slightly to the right as it becomes Church Road. 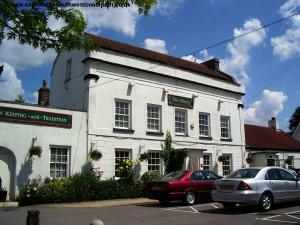 You are now in the attractive village of Easton-in-Gordano. Continue on the road to pass the grand church on the left. On reaching the road at the end turn right and after a few metres turn left on the path heading west and then turning right. 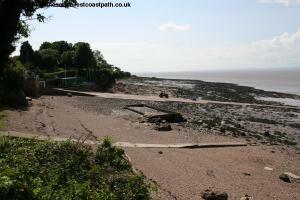 In theory the path then runs alongside the M5 motorway but in reality it now seems to divert into the car park instead. Here the official path follows between the motorway and the slip road to the services but is heavily over-grown and so an easier option is to pass through the car park towards the services and then turn right, cross the access road and follow the grass verge and access roads down to the roundabout, junction 19 of the M5 motorway. Here cross the two slip roads to the services and then the busy A369 road (keeping south of the M5). Care is needed here although a pedestrian refuge and some of the roundabout being signal-controlled helps the crossing here. Beside the A369 take the path straight on as it descends down into a field with the M5 to the right. 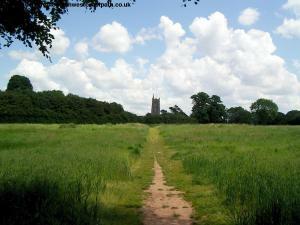 Head straight towards the church tower you can see, crossing into a second field and then reaching the road at the back of the church. 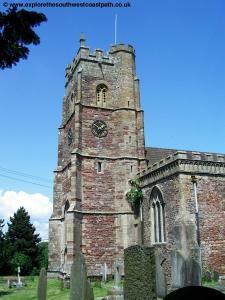 This is the village of Portbury. Take the lane to the left of the church (Church Lane) and is turns to the left follow it, ignoring the footpath to the right to join the main road (High Street) into the village where you turn right. When the main road turns to the left go straight on, (still High Street) and then turn right down Station Road past some older buildings. 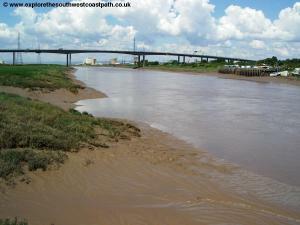 At the end of the road a tall footbridge crosses the M5 motorway and A369 (the main road to Porishead). Once over you continue along Station Road passing over the old railway line with the old station to the right. The next couple of miles is road walking along this road, however since the construction of a new route for the A369 this is no longer the main road and carries little traffic. 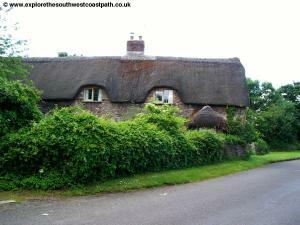 You pass Elm Tree farm and pass through the little village of Sheepway with it's thatched cottage. Continue through Sheepway crossing back over the old railway line and continue straight on. Ahead new housing is being constructed on the right and this area is changing rapidly! Continue straight on to just before the roundabout and turn right into Conference Avenue, part of the new housing estate. Follow this road all the way round (it turns a few times) to come to the end, Quays Avenue. Turn right here where you come to a new roundabout. 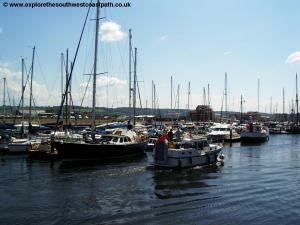 Turn left and follow Harbour Road. To the right new roads are being constructed with the promise to include new coastal walks, but for now continue along Harbour Road (it does have a pavement) to just before the Waitrose supermarket and you should see the marina to the right. A new path beside the Marina has been built as part of the new development so follow this with the impressive marina and modern apartments to the right. 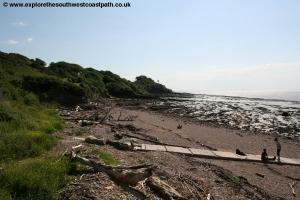 Take the path all the way to the end where there is an old pier (now marked as for the use of fisherman). 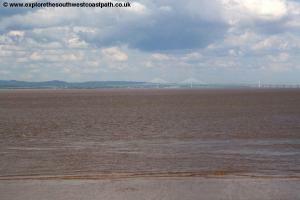 To the right are the mud flats of the Severn estuary and looking to the right you can see the two Severn crossings. Turn left along the small promenade and then up the steps past a pub on the right (The Royal Inn) through a small area of woodland and follow the aptly named Woodlands Road through an area of woodland. At the end, it comes out to a small park, Battery Point where there is a swimming pool, numerous seats and a little light house at the far end. 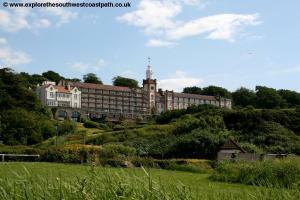 Descend from the headland onto Esplande Road and follow the promenade with the marine lake to the left. 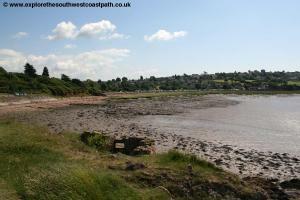 Portishead is a small coastal town, presumably once a resort although the beach to the right is mostly marsh land and mud as this is really to far up the Severn estuary for sandy beaches. 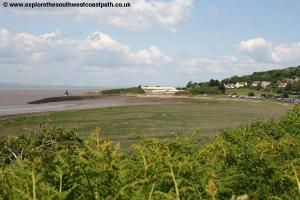 As the promenade ends you continue left on a lovely footpath (known as Mariners Path) beside the beach with a golf course and trees to the left and fine views over the Severn to the coast of Wales beyond. 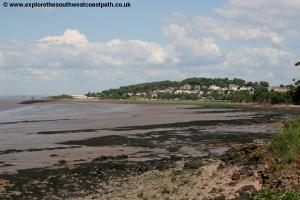 Soon you come to the more residential parts of Portishead again on the left, Redcliffe Bay. 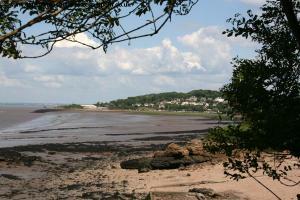 To the right the beach now becomes stony and rocky though with mud at low tide. 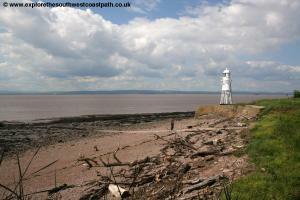 You pass a slip way and another little bay where there is a small white light house. Follow the path west until you have a path off to the left into Hillside Road, where there is just grass between you and this road, with the houses on the other side of the road. On reaching Hillside Road turn left, heading inland and follow this road to it's end, on Nore Road. Here turn left and in a few metres you come to a bus stop, where this walk ends. From the bus stop at the end of the walk First Bristol, Bath and West route X4 runs twice an hour Monday - Saturday and hourly on Sundays back to Pill, taking around 20 minutes. 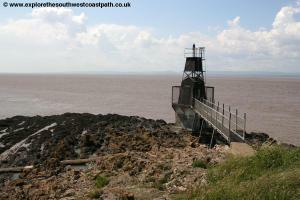 Ordnance Survey Explorer 154 (Bristol West & Portishead) covers this part of the coast. This map is available from local book shops, tourist information centres and online retailers. In addition the links below show the map of this area.